Winchester RANGER ONE is specifically marketed to law enforcement use. Winchester has just announced the release of their new RANGER® ONE™ ammunition specifically tailored for law enforcement users. RANGER ONE ammunition line is a part of Winchester’s commitment to advance ammunition quality and performance through modern technology-driven manufacturing practices. The RANGER ONE ammunition incorporate the latest technology using bonded bullets for superior performance. In addition, these new bullets will feature a proprietary rigid, fluid directing, polymer insert in the hollow point cavity. This innovative design is marketed as advancing the bullet’s expansion upon impact, while reducing the adverse effects of intermediate barriers to the target, such as, drywall or clothing. Winchester has been producing quality ammunition for 150 years, and still remains a top competitor in the ever-growing and diverse ammunition market. 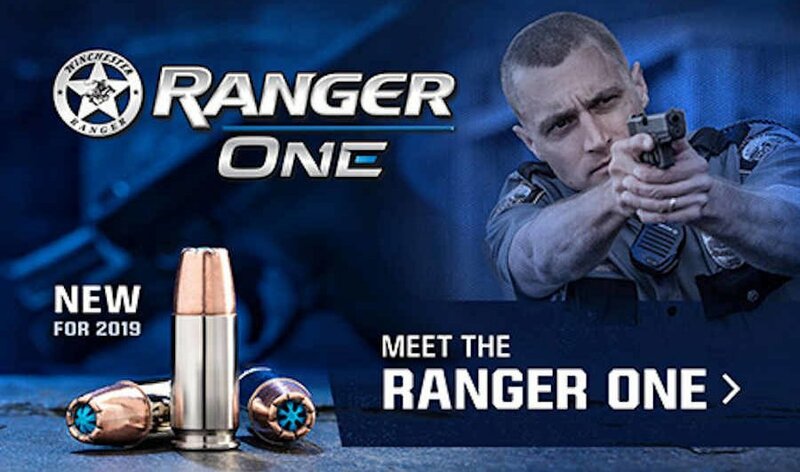 The new RANGER ONE law enforcement ammunition line appears to be another great offering by the iconic company very familiar to many law enforcement agencies throughout the United States and abroad. Winchester launches their USA Ready training ammunition with competition shooters in mind. Winchester launched their new USA Ready training and competition ammunition at SHOT Show 2019. The new USA Ready ammunition is designed to give shooters a higher class of ammunition for recreational purposes and practice. Winchester has targeted many of the most popular handgun and rifle calibers for the USA Ready release. Typically practice or training ammunition has been manufactured to be just good enough to be reliable, and moderately accurate. It appears Winchester has decided to up the game with this market of ammunition, and offer shooters a better product at competitive prices. The USA Ready ammunition has been manufactured with premium components, to provide shooters a better performance from their ammunition. Winchester specifically mentions competition shooters with their USA Ready press release. This indicates Winchester had designed USA Ready ammunition to rise above traditional basic training ammunition, to provide a more accurate and reliable performance for those who measure victory over defeat in fractions of inches and seconds. The Federal Bureau of Investigation (FBI) selected Winchester for its pistol ammunition (photo FBI). 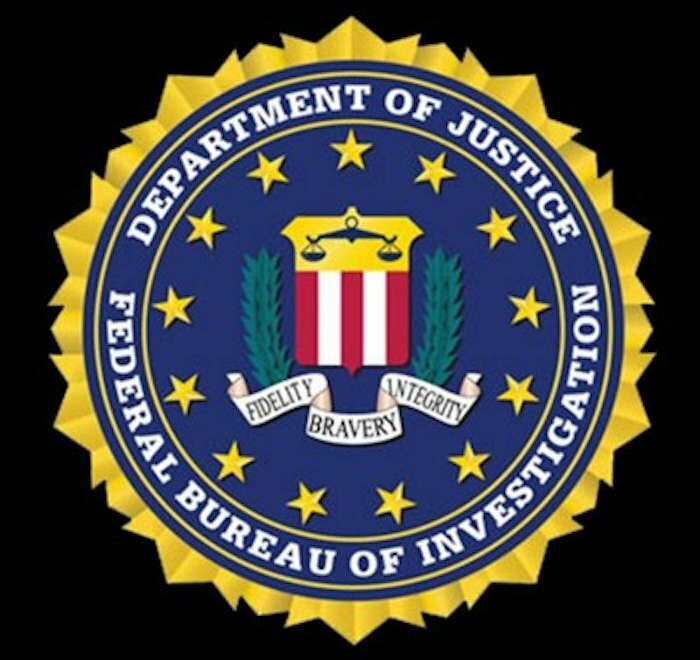 The Federal Bureau of Investigation (FBI) has awarded Glock 17M in 9mm. Contractual provisions include the bonded jacketed hollow point (JHP) duty ammunition, and full metal jacket (FMJ) training ammunition. There is also a provision for frangible training ammunition as well. Winchester had been providing the FBI with service and training ammunition for many years. This newest contract is not only an endorsement by the nation’s premier law enforcement agency, but a huge boost to the ammunition manufacturer in a time when the ammunition industry has been going through tremendous growth. Speer Gold Dot Wins Homeland Security Contract! The Department of Homeland Security is the largest federal law enforcement agency (photo from DHS). Speer Gold Dot has been selected by the U.S. Department of Homeland Security as their on-duty and training round for up to (5) years. The winning contract was just recently announced and will be in the tune of 120 million rounds. This order is a massive endorsement to an ammunition manufacturer very familiar to American law enforcement. The Department of Homeland Security is the largest federal law enforcement agency including: Customs and Border Enforcement (CBE); Immigration and Customs Enforcement (ICE), Transportation Security Administration (TSA); Secret Service (USSS); Federal Emergency Management Agency (FEMA); and U.S. Coast Guard (USCG), though the Coast Guard acquires ammunition through the Defense Department. Winning this huge ammunition contract is a major boost for Speer and one that will very likely see an expanding effect as other federal agencies, state police, and local law enforcement join as well. G2 Research is at it again with the introduction of their new affordable Telos line of self-defense ammunition. Currently the Telos line offers a 105-grain +P .38 Special round, and a 92-grain +P 9mm round. The Telos line is advertised as a more affordable G2 Research self-defense ammunition option that does not sacrifice performance or expansion capabilities. G2 Research made a huge jump into the marker several years ago with their R.I.P. line of handgun ammunition. The R.I.P. immediately caught the eye of manufacturers, law enforcement, and civilians alike, with the remarkably creative an innovative deep groove petal bullet design. As shown through testing and reviews, the R.I.P. bullets achieve incredible expansion (often over twice the original diameter of the bullet) while still achieving desired penetration. G2 Research would follow-up the R.I.P. 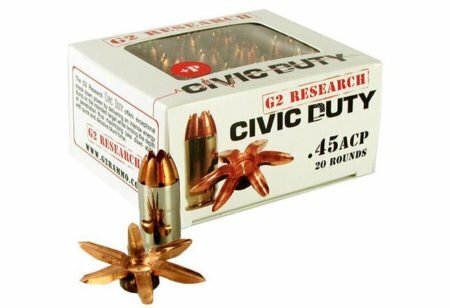 success with the Civic Duty line, and the Trident rifle ammunition line. Does Temperature Affect Bullet Point of Impact? Sierra Bullets are some of the most accurate bullets available today. Recently, Sierra Bullets put out an informational publication concerning the topic of temperature effects on bullet trajectory. This topic has been in the mainstream lexicon of precision shooters, hunters, and target shooters for decades. Opinions on the matter range from temperature doesn’t affect bullet flight enough to worry about it, to others claiming a new zero must be obtained for every 20-degree variance in the outside temperature. This post, written by Sierra Bullet’s Chief Ballistician Tommy Todd, is not only informative on the issue, but rather remarkable for its findings. Sierra Bullets, located in Sedalia, Missouri, is one of the world’s foremost leaders in bullet and cartridge manufacturing. Their Federal Gold Medal Match cartridge, using the Sierra 168-grain BTHP bullet, has been the chosen round by F.B.I. snipers for many years. taking a long-gun into a deadly threat encounter. Handguns are convenient, but they are truly defensive weapons with shorter effective and accurate ranges. When officers take a shotgun or patrol rifle into the fight, they are extending their range of accurate and effective fire, which often allows them greater options in cover and concealment. The power of the shotgun and patrol rifle is also much greater than any handgun an officer takes into the fight.